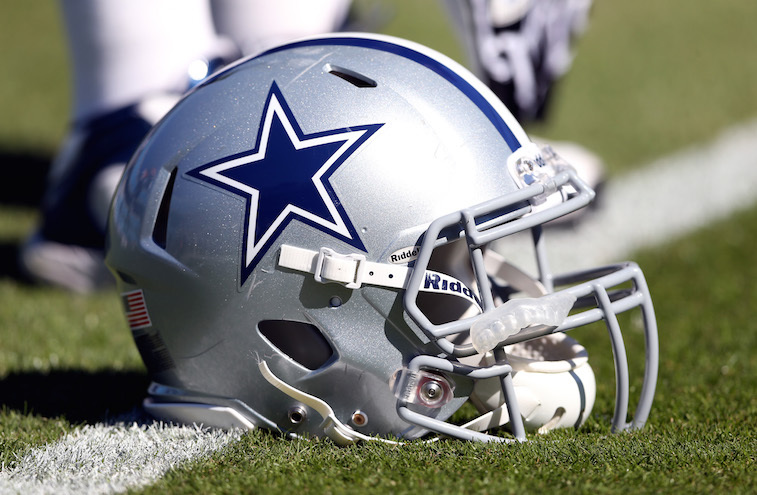 NFL Prediction: Can the Dallas Cowboys Win the Super Bowl? The Dallas Cowboys saw a massive shift happen in their offensive gameplan last season. In 2014, the Cowboys had their three running backs tally a total of 472 rushes for 2,287 yards and 16 touchdowns. If you want to play the comparison game, then just look at how those numbers stack up against the previous two seasons. In 2013 there were 310 rushes by running backs for 1,447 yards and 12 touchdowns. As for 2012, there were a total of 321 carries for 1,212 yards and eight touchdowns. This means that the Cowboys increased their running by a ridiculous 162 carries from 2013 to 2014. The end result? 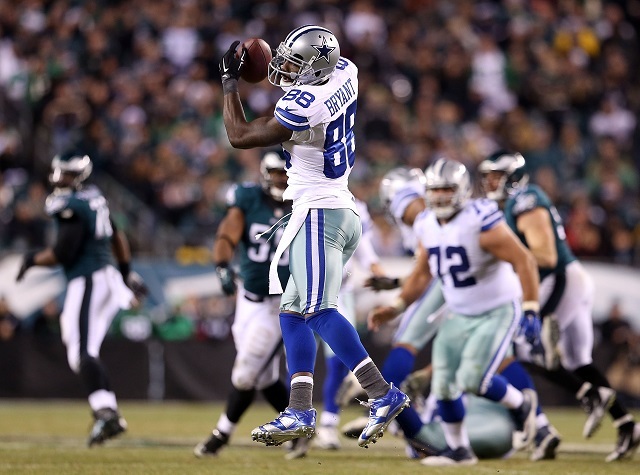 Dallas not only finished the 2014 season with a 12-4 record, but they won the NFC East and defeated the Detroit Lions in the opening round of the playoffs. If not for one quirky rule (to put it politely), the Cowboys may have beaten the Green Bay Packers at Lambeau Field and made a serious Super Bowl push. That’s all in the past now though, which means it’s time to focus on the upcoming 2015 season. The biggest question facing Dallas: can they use their run-first offense to get back to the postseason and potentially make a Super Bowl run? 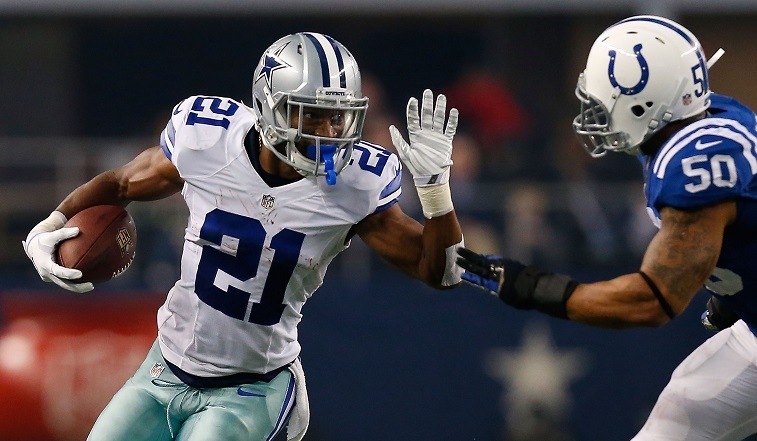 Can Joseph Randle carry the load and take over the backfield in Dallas? That’s the key query the Cowboys will have to answer, but there is some promise to the idea. The offensive line is one of the best in the business and Randle has talked a big game after DeMarco Murray left for free agency, choosing to sign with the Philadelphia Eagles. When Randle stated that Murray “left a lot of meat on the bone” last season, according to Brandon George of The Dallas Morning News, it was a parting shot. Randle had essentially stated that he could fill the void left by Murray, who had an incredible 392 carries for 1,845 yards and 13 touchdowns. While many will argue that Darren McFadden and Lance Dunbar will help ease the workload, we think this will become Randle’s backfield. That is, if he proves he’s able to handle it. If not, Dallas may have to turn back to their pass-happy offense that sent the team to an 8-8 finish three seasons in a row from 2011-2013. McFadden’s injury issues are a major concern, while Dunbar doesn’t seem to be prepared for the every-down back type of workload. Randle? Well, he’s fresh off a season where he tallied 51 rushes for 343 yards and three touchdowns. That makes for an impressive 6.7 yard per carry average, but overall is a pretty small sample size to work with. Randle’s ability to take over this run game and ease the pressure off the passing game will be the deciding factor in 2015. Not McFadden and not Dunbar — this season will be Randle’s chance to shine. 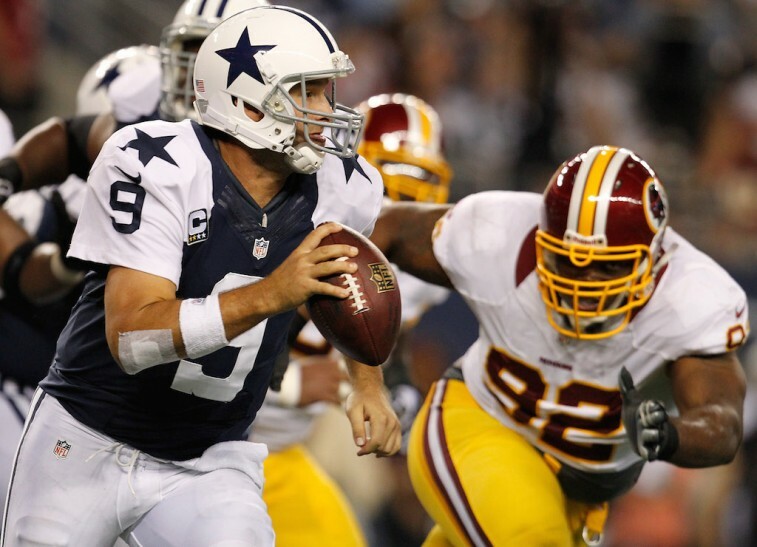 In 2014, Tony Romo had the best completion percentage in the NFL at 69.9. He also had a touchdown-to-interception ratio of 34:9. Last but not least, Romo’s quarterback rating of 113.2 was also the best in the league, a full point better than Aaron Rodgers. As for the newly re-signed Dez Bryant? Well, he put together an absolutely monster year as well. Bryant’s 1,320 yards ranked him No. 8 in the NFL, while his 16 touchdowns were the best in the league. Bryant was essentially unstoppable last season, largely due to the fact that opposing defenses had to lock in on the run game and Murray. If Romo and Bryant are able to pick apart defenses in 2015, it’s going to be due to the fact that the run game eases the pressure in a similar fashion. More specifically, it’s going to be because Randle is able to prove that Murray did indeed leave plenty of meat on the bone. It seems pretty scary to bet on a young back like Randle, but there’s plenty of reason to feel confident in this run game. When looking at the year before last, Murray had a strong season with 1,121 yards, a 5.2 yard per carry average and nine scores. Even though those are impressive numbers, Randle is more than capable of duplicating them behind this strong offensive line. We don’t expect Randle to average over five yards per carry this season. But, if he can put together 1,100+ yards and tacks on somewhere between 7-9 touchdowns, that’ll be more than enough to get the job done, particularly if you consider that between Randle and the other backs, they’d likely top 375 carries overall. Randle may wind up as the main running back, but both McFadden and Dunbar will get work, and will have the opportunity to have their own success as well — The Cowboys have one of the most loaded offenses in the NFL, and if Randle and the run game are able to ease the pressure even a bit, Romo will take advantage. In addition to Dez Bryant, it would be a mistake to forget to factor in the consistent Jason Witten, as well as Terrance Williams and Cole Beasley.